How does SUPER EASY sound? 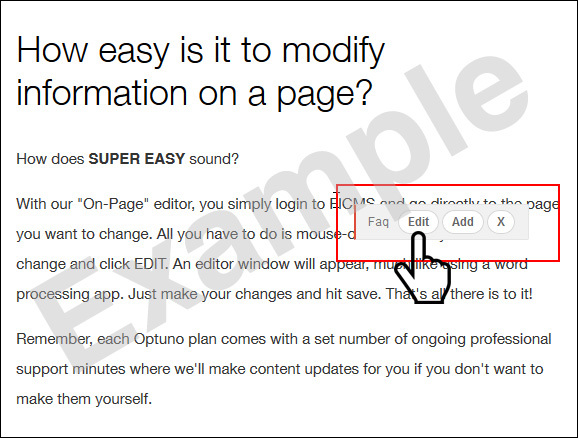 With our "On-Page" editor, you simply login to FICMS and go directly to the page you want to change. All you have to do is mouse-over the area you want to change and click EDIT. An editor window will appear, much like using a word processing app. Just make your changes and hit save. That's all there is to it! Remember, each Optuno plan comes with a set number of ongoing professional support minutes where we'll make content updates for you if you don't want to make them yourself.